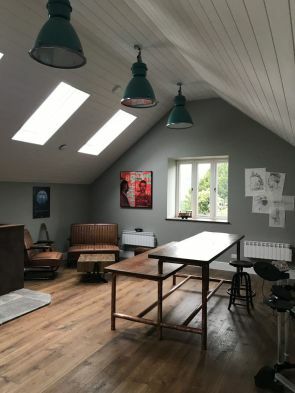 This industrial music studio has a very cool vibe about it! 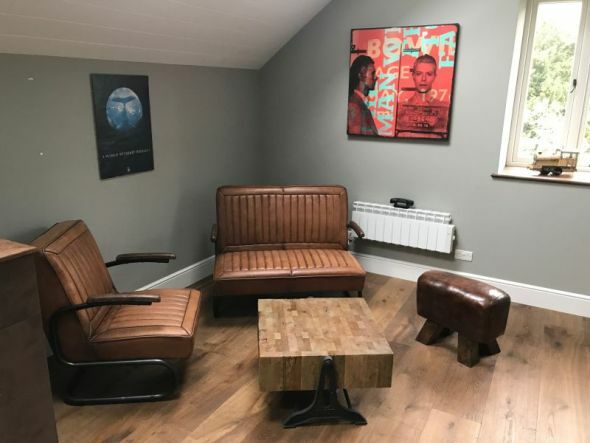 The vaulted ceiling and muted colour scheme give this space a very relaxed feel, with the retro look armchair creating the perfect spot to chill out. 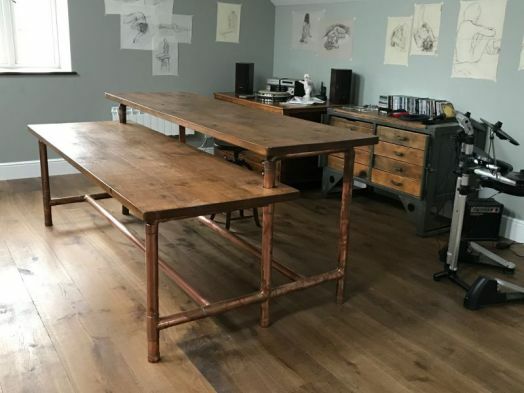 The copper pipework table was made to David’s (the studio owner) specifications, giving his space that unique touch. 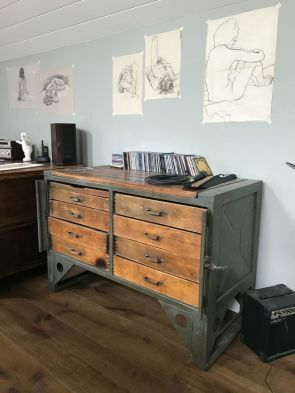 These tables are made to order with either a reclaimed pine or oak top – a stunning feature. The table is paired with our ‘Old English’ bar stool. 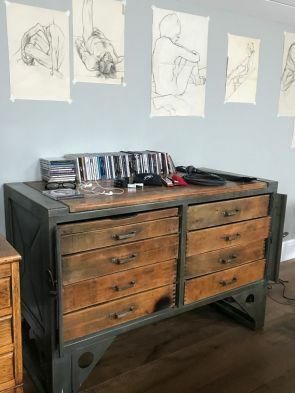 The vintage chest of drawers originated from Eastern Europe and looks great in the studio. The dark grey metalwork contrasts nicely with the walls, and the wood works well with the table tops and flooring. 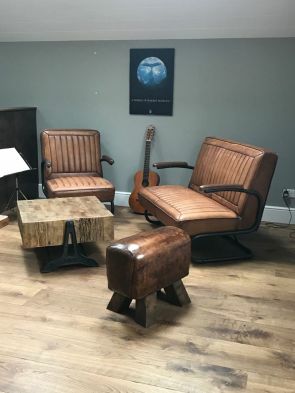 In the cosy corner, the retro look armchair is matched with the coordinating 1950s inspired ‘Shard’ sofa and a vintage pommel horse stool. The whole look is pulled together by the reclaimed pine coffee table with cast iron base. The mix of metals and woods in the studio really enhance the industrial theme, and the green industrial lights just top it off. 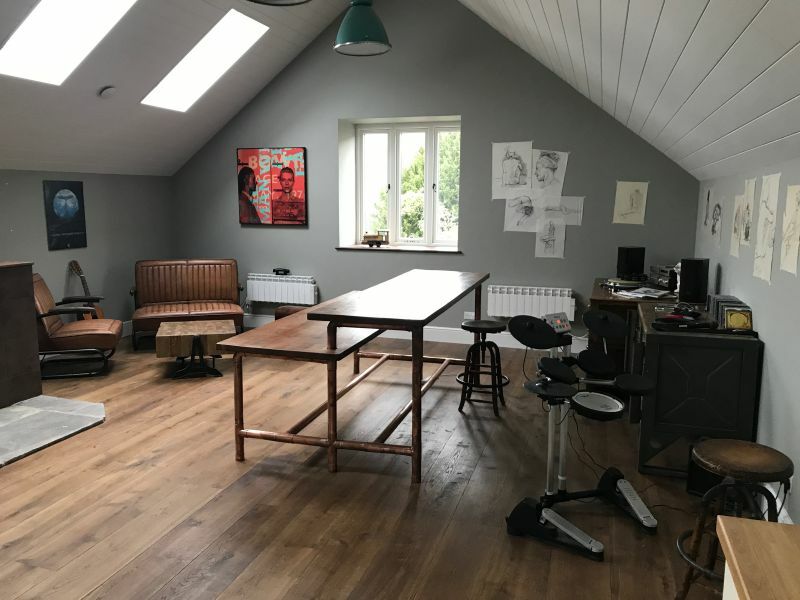 David has done a great job with his industrial studio – we especially love the sketches on the walls!